To improve security, we have introduced "Strong PAC". What does this mean? When you re-set your password, you will be required to include at least one (1) uppercase letter, one (1) number, and 5-12 total characters. Special characters are also permitted, but not required. If you have not yet upgraded your password to meet the new criteria, please do it immediately. This is a powerful and simple step to protect your accounts. 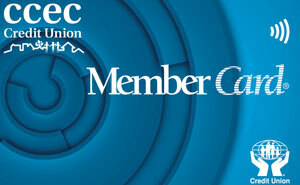 Be sure to Activate your NEW MemberCard! (Nov. 7, 2018) Does your new card work? We need to know that you received the new MemberCard that was mailed to all our members this summer. Please use your new card. While your old card will continue to work for the time being, it is for your safety to activate the new card as it has enhanced security features. If you can't find your new card, please let us know so that we can issue you a new one. Interac® e-Transfer is a convenient way to send and receive money directly from one bank account to another. All you need is access to online or mobile banking, and you can send money to anyone with an email address or mobile phone number and a bank account in Canada — without sharing any personal financial information. We take many precautions to protect the online banking environment and ensure your information is safe. MemberDirect® offers you the best security currently available in a commercial environment so that your personal and financial information is protected while in transit between your computer and our server. For more information on MemberDirect® security click on the Security tab once you have logged on. Log On: simply use your existing Personal Access Code (PAC). If you are a first time user and need a PAC, please call us during business hours at the credit union to have one assigned to you. Bill Payment: Allow 2-3 business days for processing. Transfer funds: If you need to transfer money to another member at CCEC please call today to ensure that your online account has these options. Account Activity: You can search your account for selected transactions. For example, for cheques, or for bill payments. Please call 778.588.6811 locally and 1.844.588.6811 toll-free. If you have any questions, please call us at 604-254-4100 or toll-free at 1-866-254-4100.